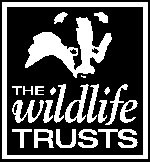 The Wildlife Trusts partnership is the UK's leading conservation charity exclusively dedicated to wildlife. Through a network of 47 local Wildlife Trusts they work to protect wildlife in urban and rural areas. And with more than 366,300 members and 2,498 nature reserves in its care, there is plenty of information to communicate. Having undergone a formal tender process, Quiet Storm were selected to redevelop the new website as their content management system clearly demonstrated that we could reduce current maintenance costs. During the weeks of the tender process Dagmar Smeed had been in negotiations with the BBC to highlight the plight of the wildlife we have in our gardens. When the decision was given to promote the 'Garden Wildlife Survey' on Tomorrow's World and Radio 4 in two weeks time Dagmar was delighted. She immediately called Quiet Storm and asked if the new site build was possible within the two week time frame - as the opportunity was simply too good to miss. Just as important the Trusts' new web site gave them the ability to manage content internally - a system whereby members of the Trusts' own staff could make changes and additions to the site whenever they wanted; to make updating the site both time and cost-efficient. This was because the website created by Quiet Storm required no additional software or any specific training - just the ability to type. The Trusts update the site daily - adding press releases, advertising vacant jobs and providing up-to-the minute information on topical issues such as Foot and Mouth Disease. Avril Rawson, Development Officer for The Wildlife Trusts, said: "Quiet Storm have been excellent to work with. "I have found that they have made a tremendous effort to bring me up to speed on a subject area I knew practically nothing about, and very quickly." Quiet Storm has now put together a package where any of the local Trust branches can have its own site created using the same technology at a very reasonable cost. Those that have taken advantage of this offer are delighted with the results.